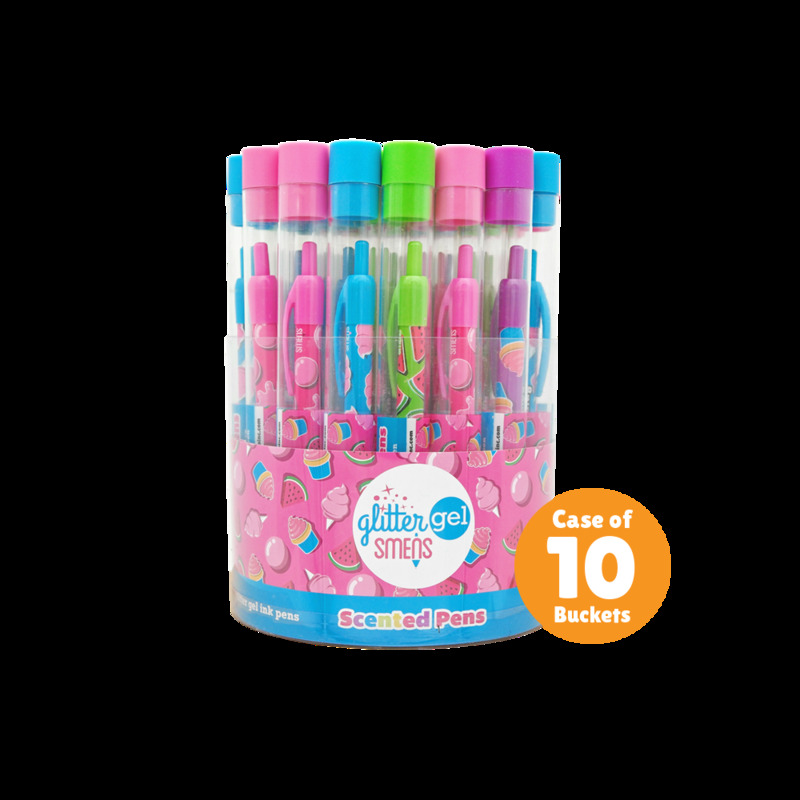 Case of 10 Glitter Gel Smens Carriers includes 10 carriers of our scented clickable pens that write in colored glitter gel ink. 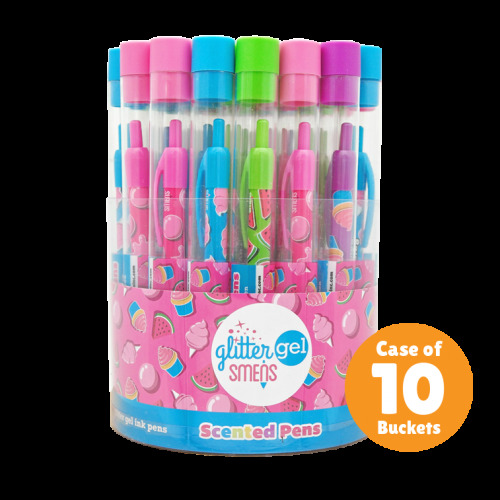 Each Glitter Gel Smen is packaged in its own recyclable plastic freshness tube. A Glitter Gel Smen emits its scent through the unique scent vent design. You will receive 5 each of the 5 scents per carrier. 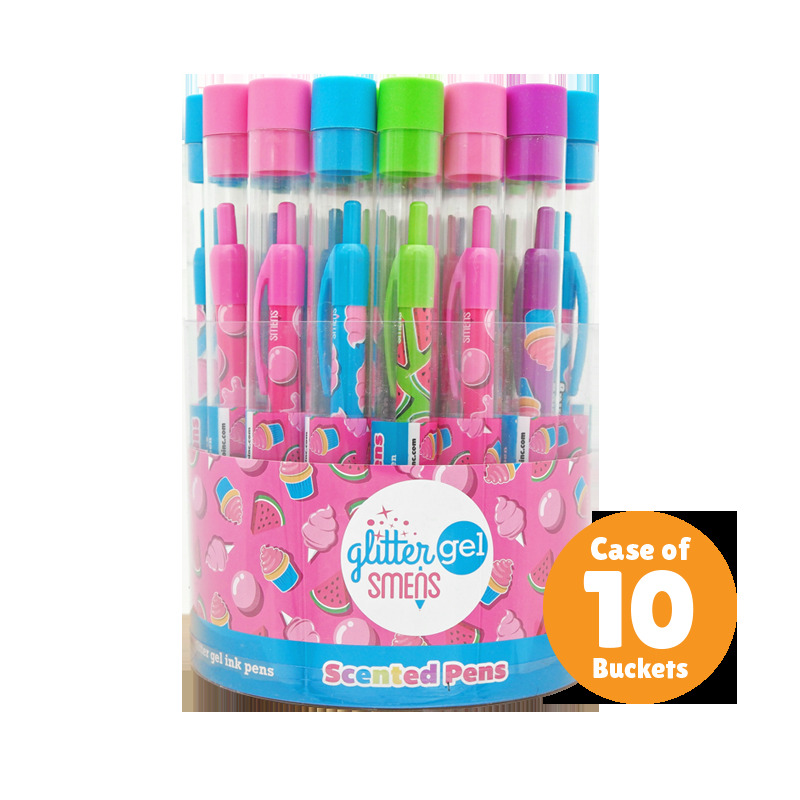 The Case of 10 Glitter Gel Grip Smens Buckets includes 10 buckets of our scented grip clickable pens that write in colored glitter gel ink. 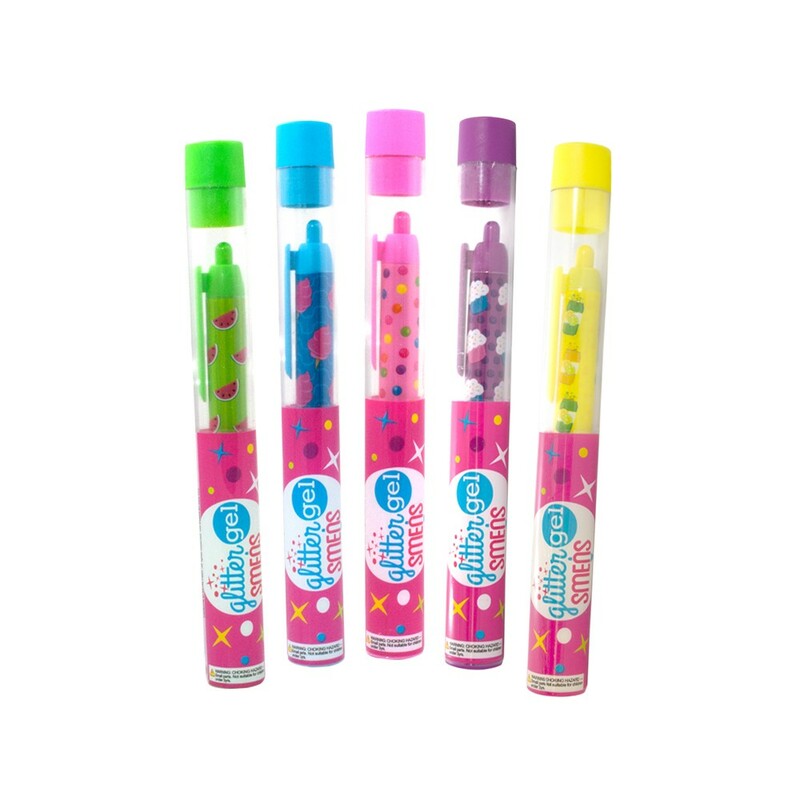 Each Glitter Gel Smen is packaged in its own recyclable plastic freshness tube. 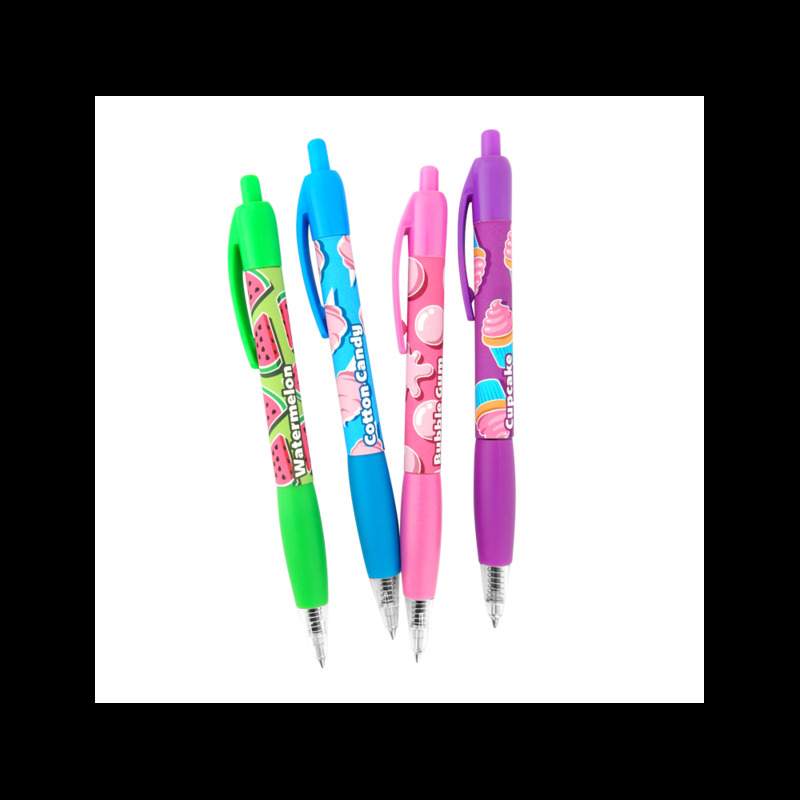 A Glitter Gel Smen emits its scent through the unique grip design. 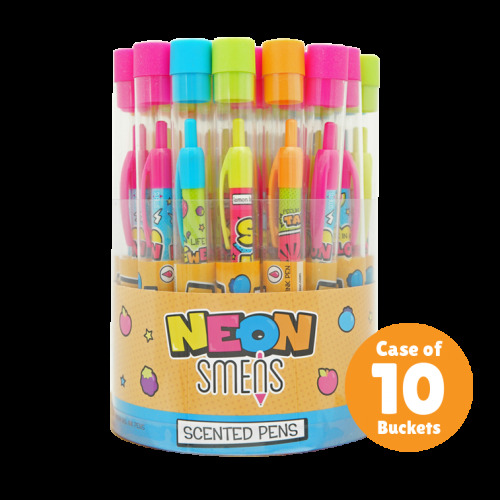 You will receive 8 each of the 4 scents per bucket.